Hello again, it’s me the Not Cop, checking in on that Nissan Skyline GT-R you absolutely legally have here in the United States. How’s the car holding up? Engine still pulling strong? No? Damn. Well, not to worry because Nissan’s Nismo Heritage Parts program is back again to help. This time the unit is providing brand-new parts for you to basically rebuild your RB26DETT—the 2.6-liter, twin-turbo, straight-six, tuner dream Godzilla engine with a cast-iron engine block that powered the R32-, R33- and R34-generation Skylines. Gone are the days of scrolling through Craigslist, eBay or some other shady website for parts. Now you can buy these new from the factory. What year is it?! The new parts include engine blocks, cylinder heads, a fuel pump assembly, muffler assembly and engine harness, to name a few. Body parts include a new roof and rear fenders. 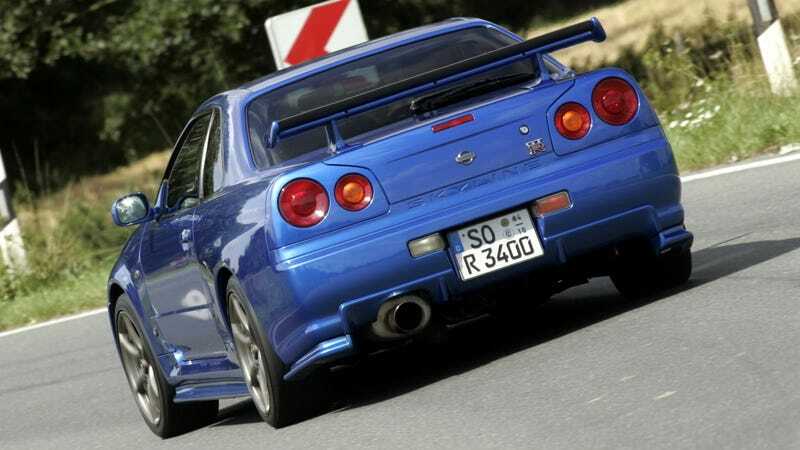 Nissan started manufacturing Skyline heritage parts for the R32 starting in 2017. Last year, it expanded that program and began offering more parts for the R32 and also the R33 and R34 as well. Most of the new parts will be available on April 1, but it doesn’t look like any of them will be offered in the American market yet. But that is what the internet is for. If you managed to get your hands on a sub-R35 Skyline by this point, I have no doubt you’ll find your own way to import something. You can see the new offerings here.